There has been some buzz about the upcoming changes to the status quo of Marvel’s Thor comics. Namely the current Thor, Thor Odinson, will become unworthy to wield Mjolnir. An unrevealed female character will pick up the hammer and thus become Thor. This identity of this character will be a secret even to Odin, or so says the press release. Thor is one of those characters that I really want to like, even if I haven’t read so many of his comics. I’ve gone through a lot of the Lee and Kirby issues, 3/5ths of Simonson’s run and pretty much everything since Straczynski with random other issues here and there. Plus I’ve read all of Thunderstrike if that counts for anything. I’m going to be honest that I’m a little skeptical about these upcoming changes. Not about a woman being Thor, but more in how it seems Marvel and Jason Aaron will go about it. 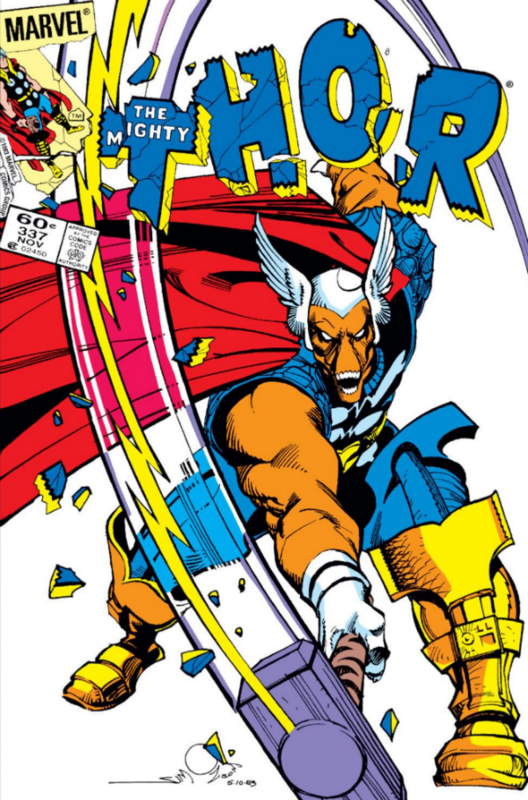 First off, I’ve enjoyed Thor God of Thunder, but I don’t think I’ve enjoyed it as much as others. For the opening arcs I liked almost everything that did not deal with Gor the God-butcher. So, finding the main story-moving antagonist not that interesting or compelling kind of left a sour taste in my mouth. I guess you could say I’ve liked Aaron’s characterizations but not his stories. This doesn’t leave me greatly anticipating the story that will give us the transition from Thor to (Lady) Thor. I’ll continue by saying that I love the idea of introducing a new powerful female character to Marvel’s stable. A strong, non-sexualized character always makes me happy. If they manage to keep Lady Thor out of high heeled boots, that alone will make me happy. But I’m not sure that this version of Thor is the right way to do it. I also wonder how sustainable this character will be. Sure, she can be the new Thor, but what happens to her when it comes time for Classic Thor to return? Does she wink out of existence to never be seen again? Does she become Beta Ray Lady Thor? How many replacement characters continue to prosper once the Original comes back? Just ask USAgent, Nomad, Wally West, Bart Allen, several versions of White Tiger, decades of existences of John Stewart and Guy Gardner. Perhaps Eric Masters also belongs on this list. Or any of the other members of the Thor Corps. That is another problem I have with this story: We’ve seen it before. Sure, that happens a lot in comics so it isn’t just that we’ve seen it before, but that it reeks of stunt casting. 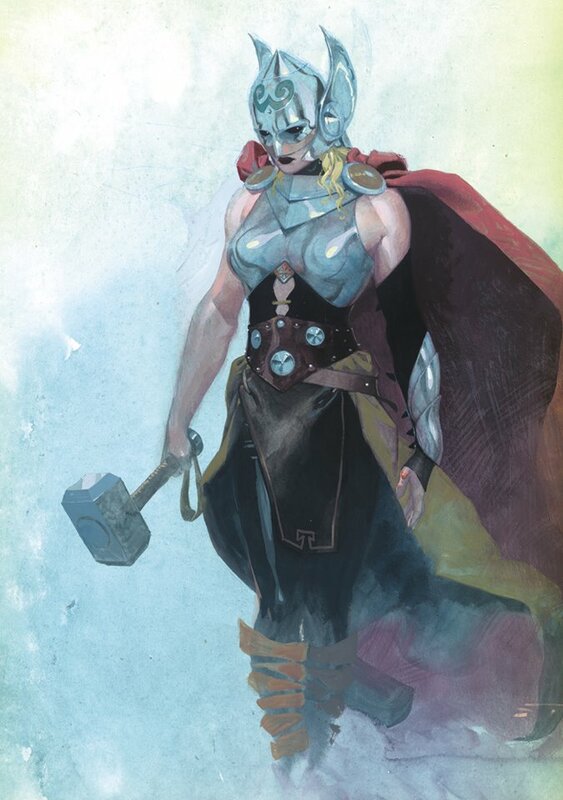 Rather than having a new, original female character we are getting a replacement that I feel fairly certain will disappear after two years simple because she has no other identity outside of (Lady) Thor. Make her a member of a different pantheon, give her a reason for existence rather then Thor is going to be a poopy-head for a bit. It just feels like the central reason for why we are supposed to follow this character is due to who she is replacing rather than who she is. I want something more both for and from a female character, and I think Marvel owes us more than stunt casting.